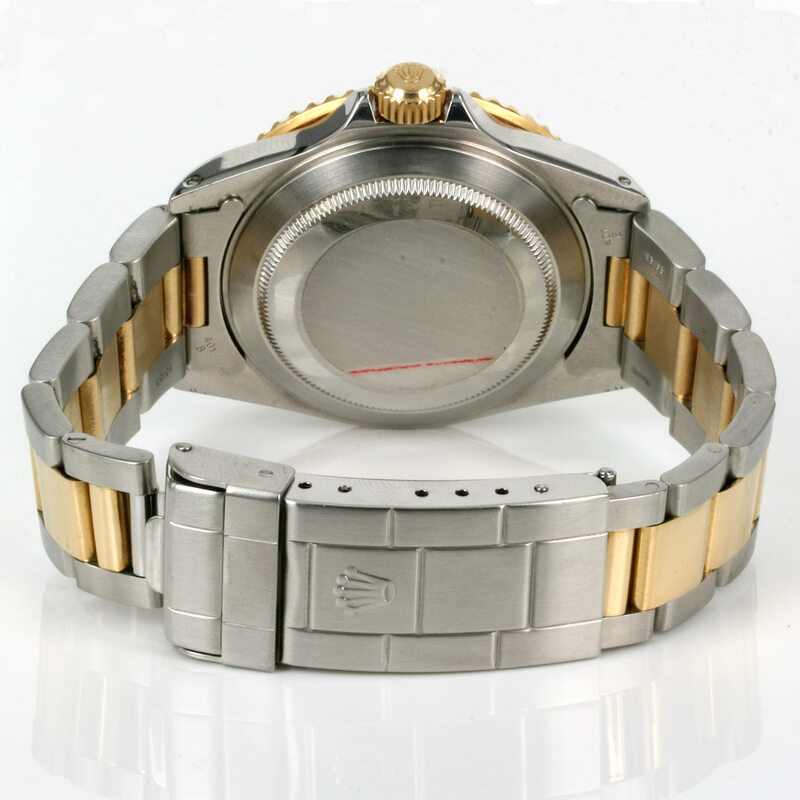 Product code: W301cc Categories: Sold Items, Sold Rolex Watches. The Rolex Submariner would have to be one of the most famous and popular Rolex model thanks for its rugged durability combined with a great look and when this Rolex Submariner is in steel and gold this is a great look and when this model has the Serti dial which is set with sapphires and diamonds it looks simply incredible. This is the Rolex Submariner model 16613 and comes complete with its box and papers. The Serti dial is one that is set with gemstones and here it is set with three sapphires and eight diamonds on a champagne coloured dial. The sapphires look great set along side the rotating blue bezel and the diamonds add the right amount of sparkle without taking it too far. An incredibly rugged Rolex watch capable of going down to 1,000ft/300 meters, this case measures 40mm across plus the Rolex screw down crown and the looks great on the wrist when worn casual or dressed up with a suit including of course a wet suit where it was designed to go. With our 12 month warranty, this is a great looking and very robust Rolex Submariner for anyone for an occasion.